Named after Colonel Stephenson Hamilton, who was instrumental in establishing the world famous Kruger National Park, Hamilton's Tented Camp reflects a safari adventure of the early twentieth century, where grace and style were the epitome of luxurious living. 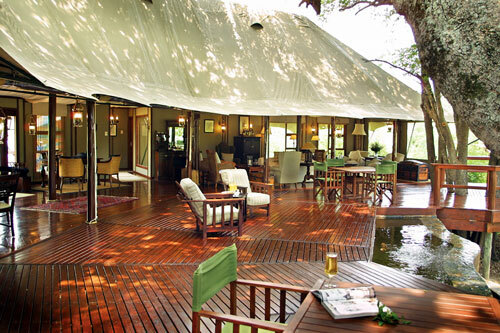 Hamilton's Tented Camp is one of South Africa's most unique camps with unrivalled design, service, ambience. luxury accommodation and personalised cuisine. All of which characterises an atmosphere of uncompromising elegance and breathtaking beauty. Situated near Hoedspruit in the Limpopo Province inside the Kruger National Park. 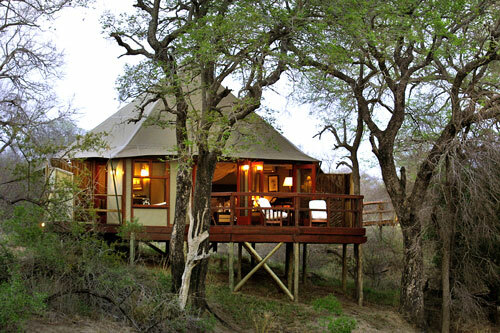 Only a 5 and a half-hour drive from Johannesburg, near the Orpen Gate of the Kruger National Park. Should you be travelling from Nelspruit it is a 2 and a half-hour drive from Kruger Gate. From Orpen and Kruger Gates take the S36 and follow the signs to the lodge. Hamilton's Tented Camp offers a unique safari experience that is the epitome of luxury and privacy. Six magnificent tents with flowing mosquito nets, slipper baths and a superb view of the Ngwenyeni dam are linked by raised timber walkways amongst ancient Jackalberry trees. Not permitted at the lodge unless the lodge is booked on an exclusive use basis. 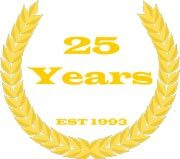 Considered as adults and accommodated in their own rooms. Arrive at Imbali Safari Lodge in time for lunch. 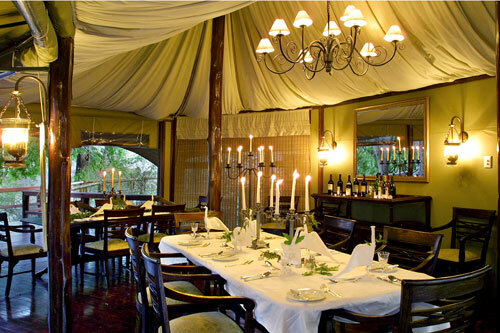 A leisurely afternoon and early evening game drive is followed by a cozy dinner on return to the lodge. Early morning wake up call followed by a harty breakfast to get ready for your Walking Safari. Meet your guide for a briefing brfore setting out. The Walking Safari will take you from Imbali Safari Lodge to Hamilton's Tented Camp, along the way you will be able to enjoy the "small 5" as well as the spectacular flora and fauna of the surrounding bushveld. Break along the way to enjoy a short rest and a delicious pinic lunch. 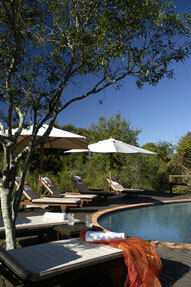 Arrive at Hamilton's Tented Camp in time to enjoy an afternoon siesta or an afternoon game drive. Dinner is served overlooking the river. Early morning wake up calls followed by a short morning game drive to watch the sunrise. Return to camp for breakfast before setting out for the day's journey which will take you from the colonial times of 1880 to the more traditional world of the Tsonga people. Break along the way to enjoy a short rest and a delicious picnic lunch. Arrive at Hoyo Hoyo Tsonga Lodge in time to enjoy an afternoon seista or an afternoon game drive. Dinner is served with traditional Tsonga dishes and you will be entertained with story telling and traditional dancing. 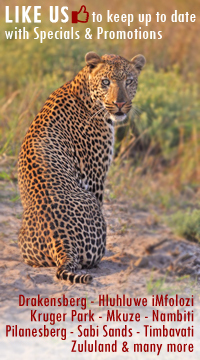 Early morning wake up calls followed by your last look at the Kruger bushveld on a morning game drive. Breakfast and departure at leisure. 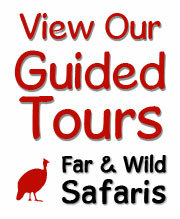 Fly-In - Wildlife Safari Game Drives - Self Drive - Walking - Hiking - Photography - Birding - LuxuryTented Camp Swimming Pool.